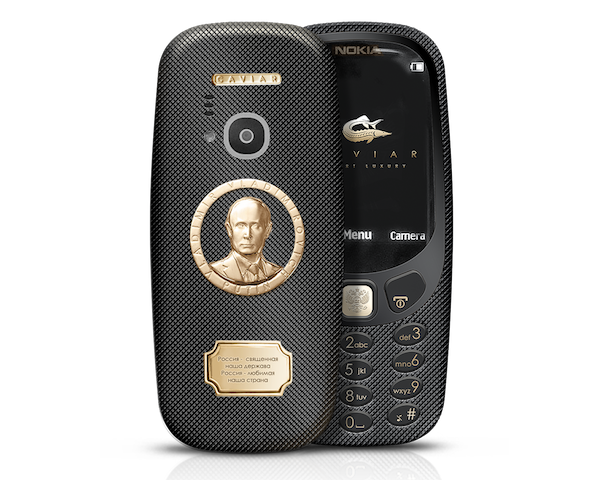 This device features a gold-plated portrait of Vladimir Putin on the back and gold seal with a quote from Russia’s national anthem as well. Also, it comes with a gold plated button on the front with an image of Russian coat of arms etched in it. Having said that, it comes with a wooden case lined with black velvet. The specifications of the phone are the same that comes with improved design, custom designed user interface and a 2.4-inch polarized QGVA display. There’s also a 2 megapixel rear camera with LED flash and support for up to 32GB microSD support. The Nokia 3310 Supremo Putin is available at a price of 99,000 Russian Rubles (Rs. 1,12,680 approx.) and you can pre-order it on their official website.